Canis-9: a vast, oceanic planet in a far distant galaxy . . . called Devoora by its two indigenous populations. The Tulavi are a maritime culture inhabiting the islands west of the Great Aetherian Reef, living in harmony with their environment and the great oceans where the leviathans known as the kaizsu dwell. The Malvarians are an industrial nation running out of resources, living on the mainland east of the Reef. In this rousing sequel to Three Against The Stars, Sergeants Seamus O’Hara, Claudia Akira, Fernando Cortez and a platoon of Marines are deployed to Canis-9 — Devoora, the Ocean Planet. Their mission: find seven indestructible robot warriors hidden there for seventy years. Most of the platoon survives a crash-landing but are left stranded in a hostile environment of deadly sea predators. Rescued by native Tulavi islanders, the Marines get caught up in a war between this mysterious, maritime civilization and another indigenous race, the Malvarians, who hunt and harvest the eggs of the giant kaizsu — the Sea Dragons sacred to the Tulavi. As the Marines set out to complete their mission they discover a secret known only by the Tulavi: the endangered kaizsu are the key to Devoora’s ecosystem and the future of all life on the planet. An adventure unlike anything the Marines of Company E have ever experienced, Sergeant Cortez finds romance and Sergeant Akira faces decisions that can save or ruin her troubled marriage. But at the heart of this story is a little Tulavi girl named Zherisa, who tends to a wounded Sergeant O’Hara and helps him overcome the grief he’s carried in his heart for the past eighteen years. And then there’s the stranger, Solis Lachus -- the Man from Outside, who holds the key to what the Marines have come searching for . . . 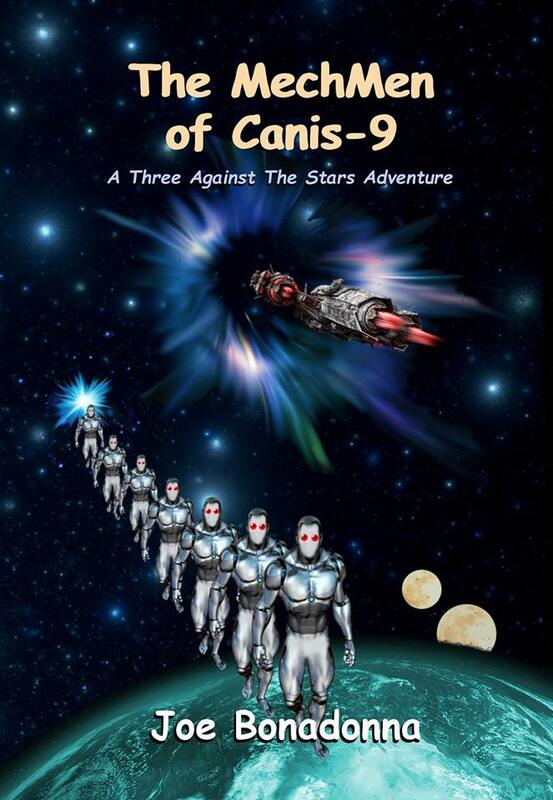 The MechMen of Canis-9. “What sets Bonadonna’s work apart from so many others who share similar influences is that he is able to authentically capture the fun and innocence without sacrificing intelligent commentary on war and imperialism. . . . The diversity among Bonadonna’s characters will resonate with modern readers more than if he had stuck with traditional Caucasian male protagonists. . . . One distinguishing feature I’ve enjoyed in Bonadonna’s previous work that is also present here is the fact that his characters are scarred by turmoil. . . . While all sorts of influences are present in his story and the worlds within, a surprising number seem drawn from outside the genre. This cross-pollination of ideas serves the book well and makes Bonadonna an author that is worthy of closer scrutiny.” — William Patrick Maynard, author The Terror of Fu Manchu and The Destiny of Fu Manchu. Rousing action, a wondrous and dangerous planet, and memorable characters, this Sword and Planet science fiction is in the tradition of Edgar Rice Burroughs and Leigh Brackett, with a touch of Frank Herbert, Rudyard Kipling and Herman Melville. Available now in paperback and Kindle editions. Please check out Three Against The Stars. Great review, your story deserves it! Thank you, Erika. And thank you for that most excellent cover you designed for me -- and the whole packaging of the book, too. This looks great Joe, I will have to check it out! 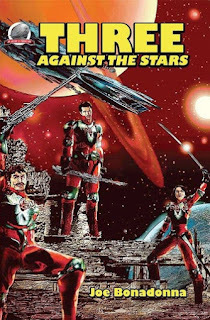 Today the #OurAuthorGang spotlight is on Joe Bonadonna's latest sci-fi adventure, featuring the trio we first met in Three Against the Stars. Action-packed science fiction with a diverse crew of space marines -- how can you go wrong?!? Yes, I've already bought my copy!! GREAT reviews!! I got my copy the other day, so it's in my to-read pile. I'm looking forward to revisiting the trio in their latest adventure! Another Sci Fi spotlight with Joe. Thank you, P.J. It was fun to write, although it took 3 years. I'm rather proud of the story and the characters. This sounds like a great continuation to a unique and engaging space opera. Nicely done. Thank you very much, Toi! 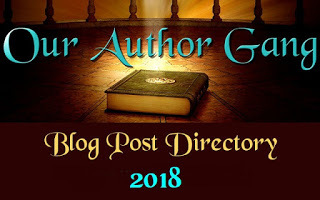 I'm very proud to tell you that today on #OurAuthorGang, the Book in the Spotlight is my new release, "The MechMen of Canis-9," the Sword & Planet adventure and "sequel" to my Space Opera, "Three Against The Stars." Thank you! Joe Bonadonna's work seems to put a new spin on the ordinary SciFi novels. He's got the magic touch. +Joe Bonadonna Thank you. At the moment I'm not doing much writing. +Lorraine Carey -- I'm sorry to hear that. But I understand. I just finished a 20-K novella for next year's Heroes in Hell volume. But I have no desire to start something new. Life happens.